The Commodore Barry Park proposal got some nice ink in DNAinfo today. Click here to read all about it. 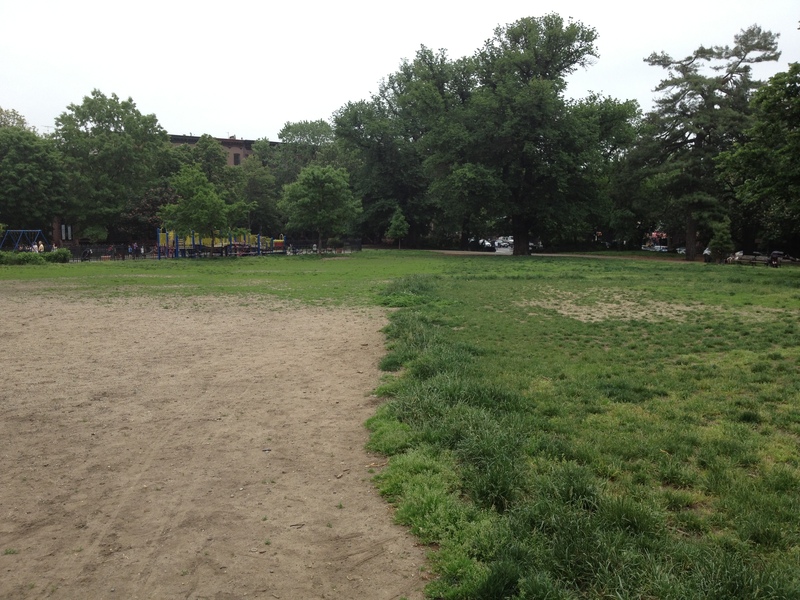 Excitement is finally building for a real home field in Fort Greene! The plan promotes organized youth and adult sports, but if the Dustbowl players do get displaced, my door is wide open to discuss possibilities for pick-up play in Commodore Barry. Itai and Dwayne know how to reach me directly, or just reach out here in the comments. Speaking of the Dustbowl, I noticed that grass is really thriving in the area recently fenced off for re-seeding on the Dekalb side of the oval. Goes to show how quickly, and robustly, the lawn could come back when given a chance to do its thing. Does this mean the cicadas are next?! ?